Last Gasp: Fill this lane with 1/1 Confused Villagers. 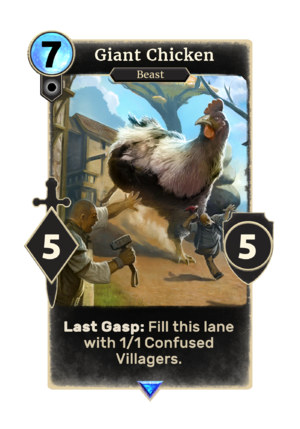 Giant Chicken is a rare Neutral creature card. It is part of the Isle of Madness story set. This card appears to depict a village in the Mania region of the Shivering Isles.